Seek To Know The Truth: How Could Noah Fit the Animals on the Ark and Care for Them? How Could Noah Fit the Animals on the Ark and Care for Them? While it is possible that God made miraculous provisions for the daily care of these animals, it is not necessary—or required by Scripture—to appeal to miracles. WAS EVERY SPECIES ON THE ARK? NO! 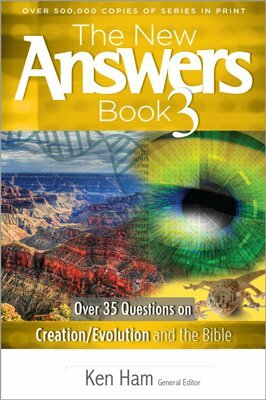 To answer this question, we must first ask how many animals were actually on the ark. Critics have fantasized the presence of millions of animals overloading the ark. In actuality, the Bible makes it clear that the cargo was limited to landbreathing vertebrate animals—corresponding to modern birds, mammals, and reptiles, as well as their extinct counterparts. Was every species on the ark? No! From chapters such as Leviticus 11 , it is obvious that the created kind (min in Hebrew, in Genesis 1:11–12, 21, 24–25) was a much broader category than the modern term of classification, species. Current baraminological2 research suggests that the created kind most closely corresponded to the family level in current taxonomy. However, to be conservative in this study, the genus was set as equivalent to the original created kind. As for the clean animals that entered the ark in seven pairs, this added a modest number of additional animals, notably bovids (cow-like mammals) and cervids (deer-like mammals). Under these conservative assumptions, there were no more than 16,000 land animals and birds on the ark. According to the Bible, the ark had three decks (floors). It is not difficult to show that there was plenty of room for 16,000 animals, assuming they required approximately the same floor space as animals in typical farm enclosures and laboratories today. The vast majority of the creatures (birds, reptiles, and mammals) are small. The largest animals were probably only a few hundred pounds of body weight. It is still necessary to take account of the floor spaces required by large animals, such as elephants, giraffes, rhinos, and some dinosaurs. But even these, collectively, do not require a large area. God would likely have sent to Noah young (and therefore small, but not newborn) representatives of these kinds so that they would have a full reproductive potential for life after the Flood to repopulate the earth ( Genesis 7:1–3 ). Even the largest dinosaurs were relatively small when only a few years old. Without tiering of cages, only 47 percent of the ark floor would have been necessary. What’s more, many could have been housed in groups, which would have further reduced the required space. There are only several hundred genera of dinosaurs known. What’s more, the continuous invalidation of old names largely offsets the continuous discovery of new kinds of dinosaur genera.4 Only a modest fraction of all dinosaurs reached giant size. About 16 percent of dinosaur genera had an adult weight in excess of ten tons, and almost half of dinosaur genera weighed no more than a ton when mature. However, the foregoing is academic because dinosaurs could have been represented as young. Interestingly, according to the most recent models of dinosaur maturation, even the largest sauropod dinosaurs were no more than several hundred kilograms in weight by the time they were just over a year old,5 which could have corresponded to their time of release from the ark. What Did the Dinosaurs Eat? Dinosaurs could have eaten basically the same foods as the other animals. The young representatives of the large sauropods could have eaten compressed hay, other dried plant material, seeds and grains, and the like. Carnivorous dinosaurs—if any were meat-eaters before the Flood—could have eaten dried meat, reconstituted dried meat, or slaughtered animals. Giant tortoises would have been ideal to use as food in this regard. They were large and needed little food to be maintained themselves. There are also exotic sources of meat, such as fish that wrap themselves in dry cocoons. Figure 1. This is a cross-section view of a possible design of the interior of the ark. The proposed skylight roof could be opened. This might be the covering when “Noah removed the covering of the ark” ( Genesis 8:13 ). How Were the Animals Cared For? Anti-Bible critics have compared the challenges of caring for the animals with that of modern zoos. This is fallacious. We must distinguish between the long-term care required for animals kept in zoos and the temporary, emergency care required on the ark. The animals’ comfort and healthy appearance were not essential for emergency survival during one stressful year, where survival was the primary goal. Therefore, Noah probably stored the food and water near each animal. Even better, drinking water could have been piped into troughs, just as the Chinese have used bamboo pipes for this purpose for thousands of years. The use of some sort of self-feeders, as is commonly done for birds, would have been relatively easy and probably essential. Animals that required special care or diets were uncommon and should not have needed an inordinate amount of time from the handlers. Even animals with the most specialized diets in nature could have been switched to readily sustainable substitute diets. Of course, this assumes that animals with specialized diets today were likewise specialized at the time of the Flood. But that may not have been the case in the ancestral kinds that were taken on the ark. Figures 2 and 3. With Noah being over 500 years in age, it would make sense that he had the knowledge to be able to incorporate automatic feeding and watering systems where they only had to be refilled occasionally. Even the most “fussy” animal kinds today contain individual representatives that can depart from the foods their kind normally eats in nature. For example, although most koalas eat nothing but fresh eucalyptus leaves, there are individual koalas that will subsist on dried eucalyptus leaves. Likewise, some individual pandas will accept dried bamboo stalks. How Did the Animals Breathe? The ventilation of the ark was not only necessary to provide fresh air but, more important, to dissipate body heat. A basic, non-mechanical ventilation system was sufficient for the ark. The density of animals on the ark, compared to the volume of enclosed space, was much less than we find in some modern, mass animal housing used to keep stock that are raised for food (such as chicken farms), which often require no special mechanical ventilation. The Bible is not specific as to the kind and size of window on the ark. It is reasonable to believe that one relatively small window would have adequately ventilated the ark. Of course, if there were a window running along the top center section, which the biblical description allows, all occupants would be even more comfortable. It is also interesting to note that the convective movement of air, driven by temperature differences between the warm-blooded animals and the cold interior surfaces, would have been significant enough to drive the flow of air. Plus, wind blowing into the window would have enhanced the ventilation further. However, if supplementary ventilation was necessary, it could have been provided by wave motion or even a small number of animals harnessed to slow-moving rotary fans. What Did Noah and His Family Do with the Animal Waste? Figure 4. Animal enclosures with sloped, self-cleaning floors, emptying into a manure gutter or pit. As much as 12 U.S. tons (11 m. tons) of animal waste may have been produced daily. The key to keeping the enclosures clean was to avoid the need for Noah and his family to do the work. The right systems could also prevent the need to change animal bedding. Noah could have accomplished this in several ways. One possibility would be to allow the waste to accumulate below the animals, much as we see in rustic henhouses. In this regard, there could have been slatted floors, and animals could have trampled their waste into the pits below. Small animals, such as birds, could have multiple levels in their enclosures, and waste could have simply accumulated at the bottom of each. The danger of toxic or explosive manure gases, such as methane, would be alleviated by the constant movement of the ark, which would have allowed manure gases to be constantly released. Second, methane, which is half the density of air, would quickly find its way out of the window of the ark. There is no reason to believe that the levels of these gases within the ark would have remotely approached hazardous levels. 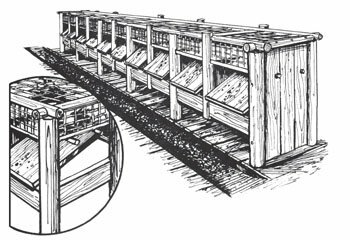 Alternatively, sloped floors in animal enclosures would have allowed the waste to flow into large central gutters and then into collection pits, allowing gravity to do most of the work. Noah’s family could have then dumped this overboard without an excessive expenditure of manpower. The problem of manure odor may, at first thought, seem insurmountable. But we must remember that throughout most of human history, humans lived together with their farm animals. Barns, separate from human living quarters, are a relatively recent development. While the voyage of the ark may not have been comfortable or easy, it was certainly doable, even under such unprecedented circumstances. Figures 5 and 6. Some floors could allow waste to fall below and could be stocked with hay or sawdust to soak it up. It is possible that a clean-up would not even be required for the duration of the year-long Flood. If animals hibernated, this would, of course, have greatly alleviated the need to feed, water, and remove the waste of the ark animals. Critics point out that the vast majority of animals on the ark were not of the type that hibernate. However, this ignores the possibility that hibernation (or its equivalent in tropical environments, such as aestivation) may have been much more widespread in the animal kingdom than it is today. It is, of course, also possible that God put the animals into a sleep for most of the time that they were on the ark. But all this is moot. Whether supernatural or natural, hibernation was not necessary for the animals to have been adequately cared for on the ark. It only would have made it easier. Critics point to the fact that, when a single pair of animals is released, it usually does not lead to a lasting population. But this ignores the fact that, under modern conditions, the released pair must compete against pre-existing animals, causing it to usually lose out. 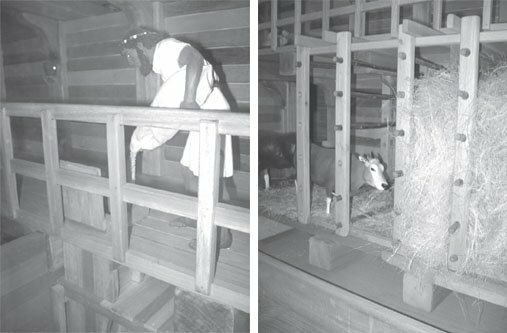 In contrast, the ark-released animals were introduced to an environment free of competitors. Experience has shown that single-pair introductions usually do lead to lasting populations when there are few or no competitors. One must also keep in mind that nowhere in the Bible does it claim that all animals that were released from the ark gave rise to lasting populations. There have been and continue to be extinctions, often caused by man. Critics have also argued that single pairs are not sufficient to be able to transmit the genetic variability of the parent, pre-Flood population. This is a half-truth. In most traits, a single pair contains the most-commonly occurring gene forms (that is, alleles) that occur in the population at large. The rare alleles, which a single pair will seldom have, are usually uncommon in the population and of little or no relevance to its survivorship or fitness. Mutations in the post-Flood world could have created a new set of rarely occurring alleles. Consider, for example, the human blood types. The relevant possibilities are: A-only, B-only, both A and B (that is, blood type AB), and neither A nor B (that is, blood type O). There are also rare blood types, but these, again, are just that—rare, and of little relevance to human survival. They are one-step mutational derivatives of the common blood types. A single pair of individuals would very likely have the A and B alleles represented within it. Rare blood types would be re-established by mutations of the common alleles after the Flood, and would probably not be the same as their pre-Flood counterparts. Didn’t the Ark-released Animals Eat Each Other? Those who attack the Bible say that the carnivores released from the ark would have soon eaten up the herbivores, leading to the eventual extinction of both. This falsely assumes that the only sources of meat available to the ark-released carnivores were the ark-released herbivores. Such was not the case. The post-Flood world must have had plenty of rotting corpses of various animals that were not buried in the Flood sediments. Experience has shown that most carnivores prefer to eat carrion than to kill live animals for food. Also, the Flood must have left behind many residual pools of water and marine life. As these waters retreated or dried up, fish and other marine animals were stranded in lakes, ponds, and streams on land. This could also have served as food for the ark-released carnivores. In fact, experience shows that many normally non–fish-eating carnivores, such as lions, will eat fish if it is available, and do so in preference to hunting their usual prey. These alternative sources of food must have diverted the attention of predators for a considerable period of time after the Flood. This would have allowed the prey populations to build up to an appreciable size before they became the main target of the predators. How Did Marine Life Survive? What about the animals that were not on the ark? Critics have said that the Flood must have been so destructive that nothing could possibly have survived. How could they possibly know this? As a matter of fact, fish and other marine life produce an astonishing number of larval offspring. Only a tiny number of these need to survive in order to propagate their kind. And while much of the Flood waters may have been violent, many lateral and vertical parts of the water column would have allowed sea life to survive during the Flood. How Could Freshwater and Saltwater Fish Coexist in the Flood? Most saltwater fish cannot live in freshwater, and most freshwater fish cannot live in saltwater. So how could both have survived the Flood? To begin with, the intolerances are not symmetrical in nature. Most ocean fish can survive considerable reductions in the salinity of water, even though they cannot go all the way to the near-zero salinity of fresh water. In contrast, most freshwater life is intolerant of more than a slight elevation of salt levels in the water. There is a range of brackish water (about 5–10 percent the salinity of current ocean water) that would be tolerated by nearly all ocean fish as well as a significant fraction of freshwater fish. What about those organisms that cannot tolerate this? Variations in salinity according to geographic area, and the probable stratification of denser, saltier water, would have created pockets of considerable salinity and other pockets that approached freshwater qualities. Sensitive organisms could survive there. Finally, it should be noted that organisms that are extremely intolerant of either salinity or reductions in salinity vary from species to species. The narrow range that they tolerate probably arose since the Flood by the mechanisms of natural selection of some of the great genetic variability built into the original created kinds (and still observable today) and in some cases through mutations also. In fact, there is evidence from selective breeding that tolerance or intolerance to salinity can be markedly changed in a matter of generations. Previous ChapterWhat Are “Kinds” in Genesis?Next ChapterWas the Flood of Noah Global or Local in Extent? For an in-depth, documented discussion of this and related topics in language that is understandable to lay people and students, see John Woodmorappe, Noah’s Ark: A Feasibility Study (Dallas, TX: Institute for Creation Research, 2009). Baramin is a term coined by creation scientists to describe the original created kinds. It comes from the Hebrew words bara (meaning “create”) and min (meaning “kind”). 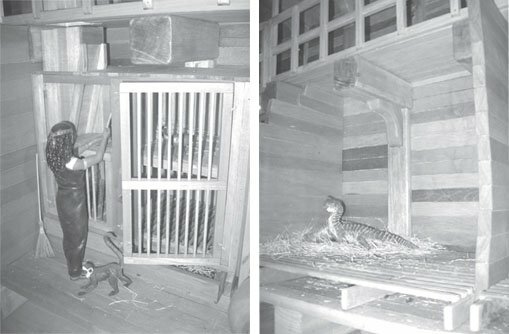 Woodmorappe, Noah’s Ark: A Feasibility Study, p. 17–21, 95–98. M.J. Benton, “How to Find a Dinosaur, and the Role of Synonymy in Biodiversity Studies,” Paleobiology 34 no. 4 (2008): 516–533. T.M. Lehman and H.N. Woodward, “Modeling Growth Rates for Sauropod Dinosaurs,” Paleobiology 34 no. 4 (2008): 264–281.